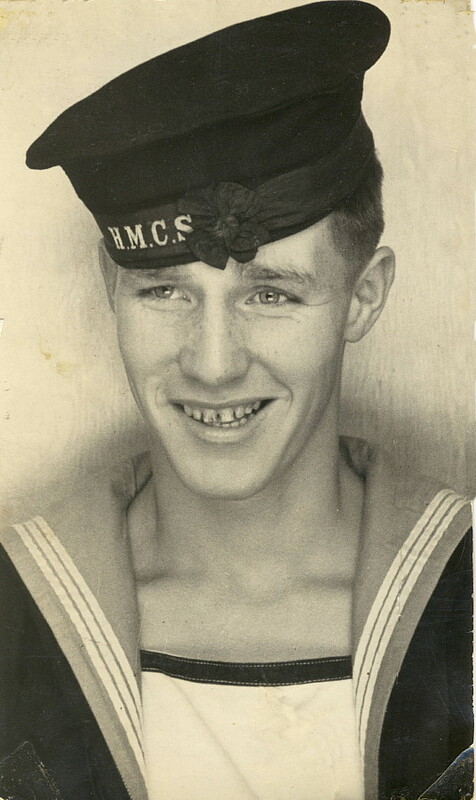 Kevin Ryan discovered his father in the group photos of the crew of HMCS Chilliwack on this website. 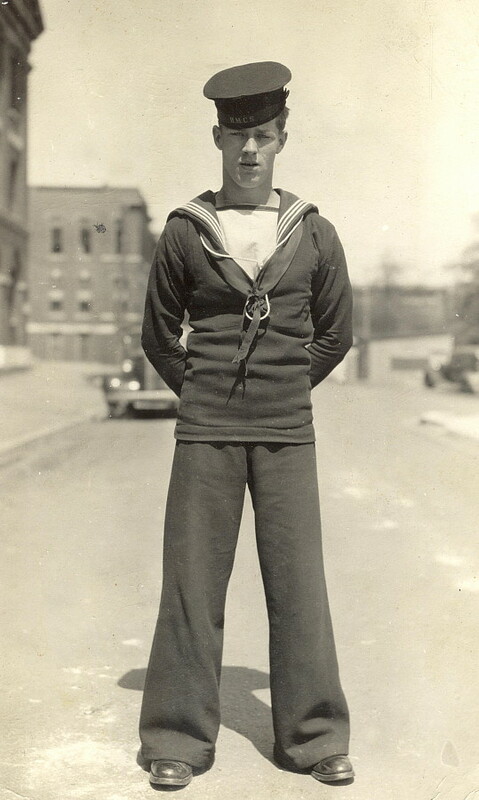 He sent me these three photos of him taken during WW 2, one of which was taken in the merchant navy. 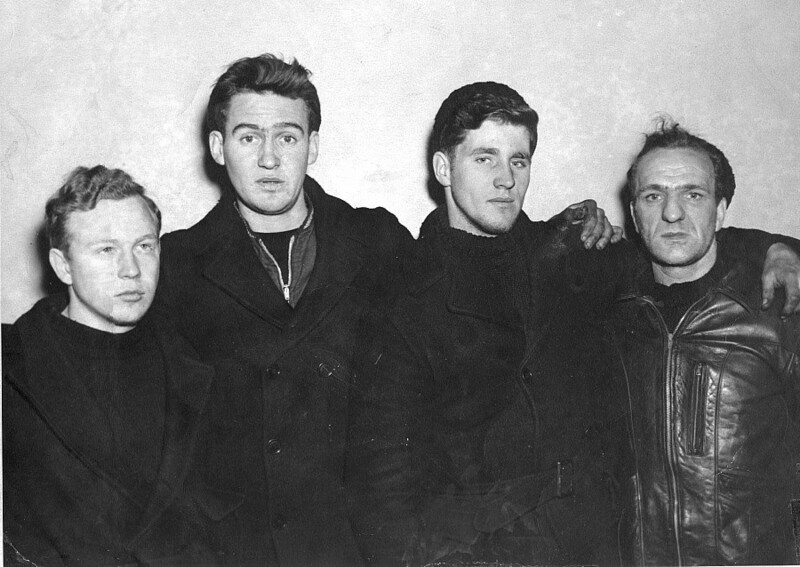 Gerald James Ryan is second from right, and is with unidentified shipmates in the merchant navy. The exact date and ship are not known. Many thanks to Kevin Ryan for these photos of his father.